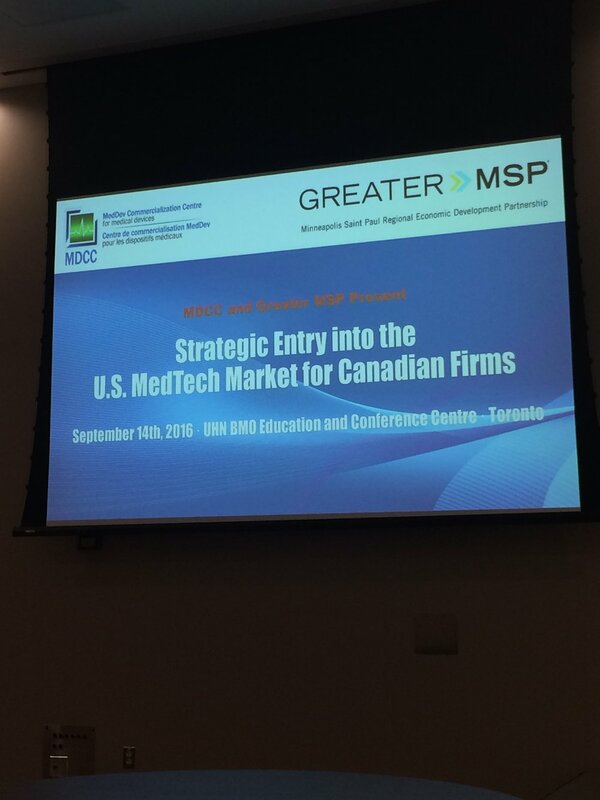 OBIO CEO Gail Garland was asked by MDCC to provide opening remarks at their hotly anticipated Strategic Entry into the U.S. MedTech Market for Canadian Firms Seminar. The Greater MSP and MDCC brought to Toronto 4 world-class experts with backgrounds in finance, reimbursement, talent management and the FDA. Each shared their insights and tools for success for strategically entering into the U.S. MedTech market. Many of the attendees are were focused on commercialization for their own companies and very interested in the juggernaut market that exists south of the border. The goal of the seminar was to add clarity to some of the major considerations, and to provide participants with insider knowledge to help tackle some of the most significant decisions and challenges. Chief Medical Officer at Leaders in Medicine Inc. Enjoy a gallery from the event below!